Ah black earth Hunter Shiraz. 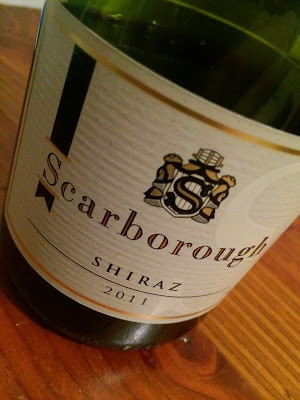 It’s such an esoteric style this, so far from the plums and chocolate ‘Aussie’ Shiraz form that we could almost be talking about a different variety. Yet for anyone who appreciates fruit richness without sweetness this is smart wine. A real slow-burner, I opened it and hours later it was still unfurling. Despite the savoury talk this Scarborough Shiraz seems a more substantial, more modern wine this vintage, the fruit glossier if still carrying the black earth edge and firm grip. Would I buy it? For the cellar. This would look great in a decade.